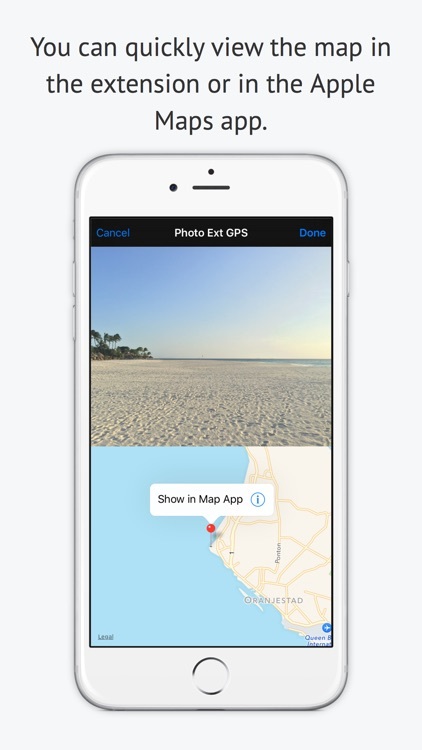 Photo Extension GPS displays the location of the photo in a map from the Apple Photos app for iPhone and iPad. 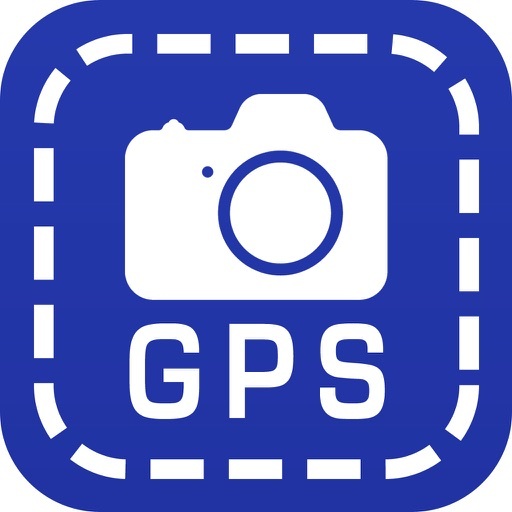 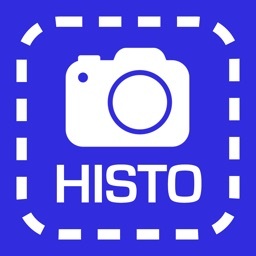 The extension is great for photographers who use an iPhone or iPad to manage photos from digital cameras that have integrated GPS. 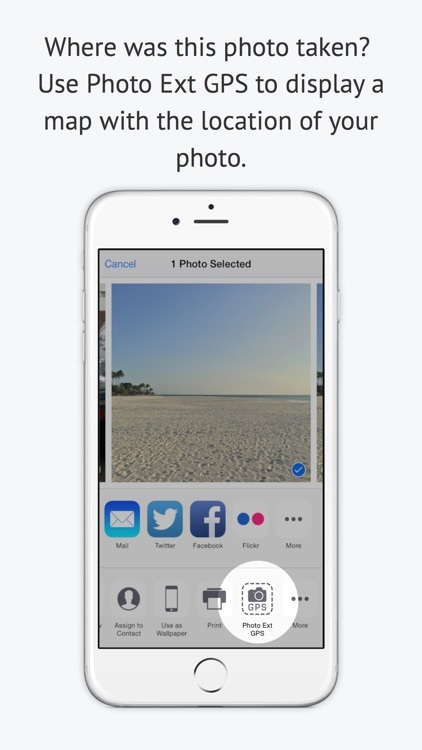 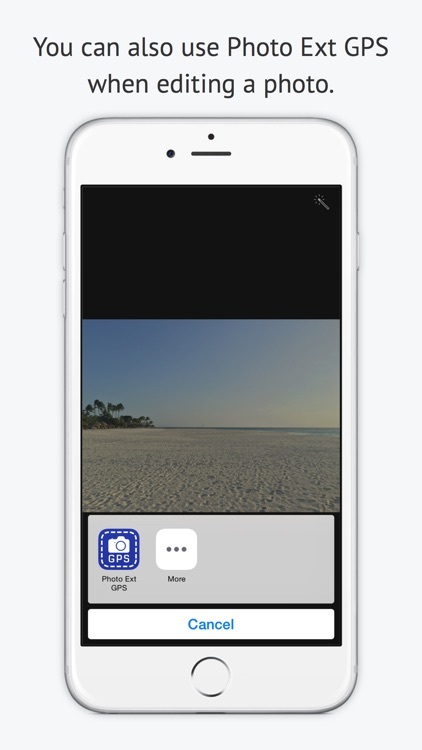 To use this extension, first open the Apple Photos app, select any photo, and then activate the extension through the Action button. 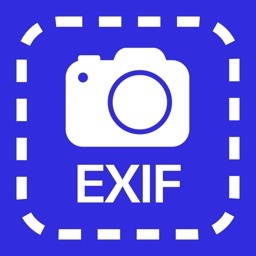 You may also activate the extension when editing a photo. 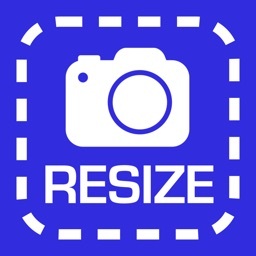 The activation process needs to be done only once, and the extension will be available for all photos. 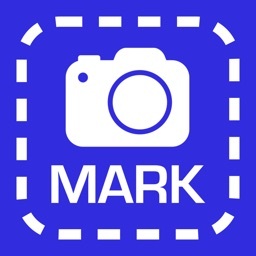 + Always shows the image you're working on. 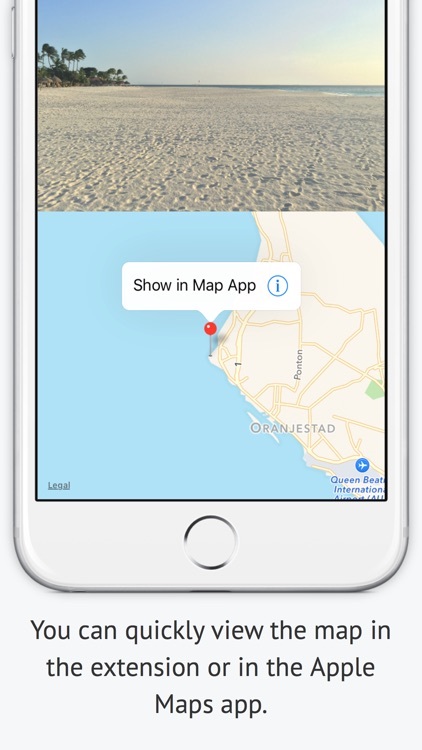 + Provides link to Apple Maps app. 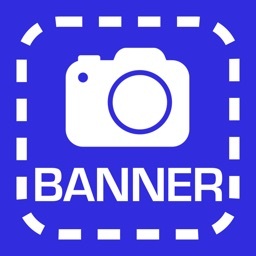 Email us at [email protected] for any support questions or suggestions.